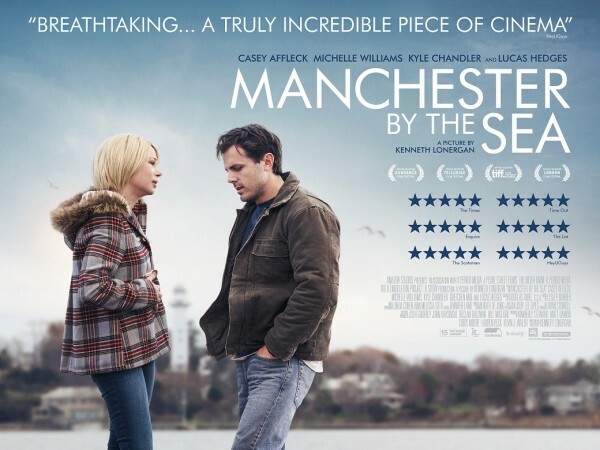 I first saw Manchester by the Sea as part of the BFI London Film Festival in 2016 and it was, without doubt, my favourite film of the festival and one of my favourite films of 2016. It really struck a chord with me, moved me profoundly, and stayed with me for a long time after. Put very simply, it blew me away. I saw it again last month when it went on general release across the UK, and my initial view of it remains unchanged. I was delighted to see it win 2 BAFTAs on Sunday (12 February) - Kenneth Lonergan won for Original Screenlay and Casey Affleck won for Leading Actor. In summary, my strong advice is ... catch this whilst you can ... it is in cinemas now! Tender, brutal and utterly mesmerising, Kenneth Lonergan’s third feature as director is one of the most visually eloquent and emotionally devastating explorations of grief and redemption in recent cinema. Casey Affleck gives an indelible, career-defining performance as the laconic, calcified Lee, a man whose spare existence is suddenly ruptured when the death of his brother Joe (Kyle Chandler) forces him to return to the hometown he abandoned years before. Rocked by contact with his estranged ex-wife (Michelle Williams) and the revelation that Joe has made him guardian of his teenage son (Lucas Hedges), Lee’s private torment deepens. Lonergan harnesses all the cinematic potency of the wild and durable Massachusetts locations to magnify the unfathomable inner turmoil of a man so shattered by the consequences of one single mistake that he cannot reverse his retreat from life, even when faced with the responsibility of caring for someone else. The primary tragedy is revealed through a series of flashbacks that imbue the narrative with a foreboding urgency, often triggered by an emotional response to place, spoken exchanges, or the knowing stares and whispers of the townspeople. This is exacting filmmaking, profound and overwhelming.